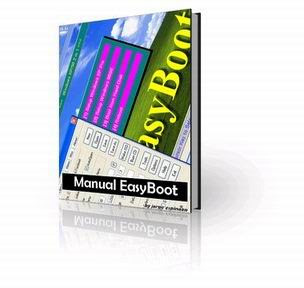 EasyBoot is an integrated tool to create MultiBoot, Menu driven CDs & DVDs with native language. It has the ability to automatically produce boot image files, and generate the ISO file as well. Using your CD/DVD Recording software such as Nero or Roxio to Record the ISO, you get a bootable CD/DVD that completely belongs to you. You can customize it with your company's name or slogan or even use it for your clients. 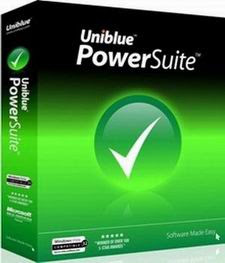 Uniblue's PowerSuite 2009 combines RegistryBooster, SpeedUpMyPC and DriverScanner, creating the ultimate solution for updating your PC and delivering improved system stability and increased computer speeds. Your PC is a complex combination of advanced technologies which needs managing to get the best from it. Without regular updates, the drivers your PC uses to run all of its hardware, can become obsolete. Unless cleaned, your system’s registry will become disordered and bloated. And there are a whole range of other system changes, network boosts and disk cleanups which you need to run regularly, to keep your computer running optimally. Anti-virus products are important, but alone won’t guarantee your PC’s privacy and performance. Combining three powerful Uniblue utilities in one package PowerSuite helps ensure total system speed and security. DriverScanner updates drivers to improve network and hardware functionality. RegistryBooster scans and defrags your PC’s registry removing harmful entries. Finally SpeedUpMyPC wipes sensitive files and implements various performance enhancements. DriverScanner is the simple and reliable tool with which to update your system’s drivers, boosting system performance, releasing improved functionality and increasing operability with networks and hardware. This powerful application will scan your system to identify drivers to be updated, and deliver the tools you need to download and then install those drivers, while, at the same time, keeping a full record of all activity and allowing you to backup and restore your drivers. Combining a sophisticated system scanning engine with a characteristically elegant, clear and simple-to-use Uniblue styled interface, DriverScanner dramatically improves your computing experience. RegistryBooster is the safest and most trusted solution to clean and optimize your system, freeing it from registry errors and fragmented entries. Using advanced error detection technology, RegistryBooster automatically identifies missing, corrupt or possibly harmful items in your Windows registry, dramatically enhancing performance and general stability. One mouse click and our registry cleaner does the rest. And using RegistryBooster regularly keeps your PC free from errors and from obsolete, unused or unwanted files. RegistryBooster is trusted by specialist IT technicians and home PC users around the world to solve all their registry based performance problems.